Since we have an early flight home, my folks put us up in their favorite hotel the night before. This is a great time for Joanna to explore every inch of the room and have a bit of an adventure before she’s cooped up on a couple of planes for the day. 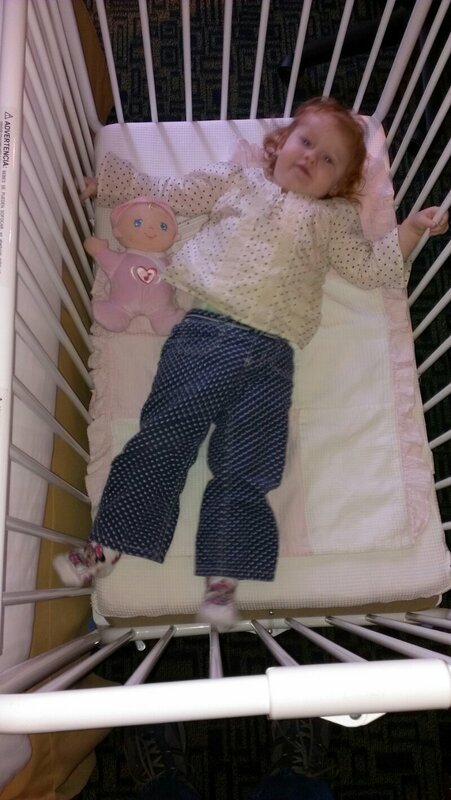 Today’s adventure has us thinking that she may have outgrown the hotel-provided crib.